With over 30 years of programming experience, I have developed applications for the small business and large corporation, from the small utility (or library) to real-time financial trading systems. From in-house application to commercial product. My main development tool are the Microsoft Developer Network and primarily Visual C++. Using C++, I concentrate on the following technologies: MFC, COM, XLL, .NET, and Grid based applications, with a passion for making code and processing faster. 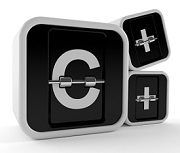 I use C++, not only because it produces the fastest executables, but the language structure blends itself well with a windows environment, and allows for flexibility, easier maintenance and future enhancements. And yes, it is more fun to use. On graduating, I went on to study 'Computer Data Processing' for another 3 years, and during that time, I also became self-employed developing applications in Clipper and C.
In 1989, I joined the headquarters of a large IT multinational, where in addition to management reporting and consolidating their financial results, I developed a range of applications for internal use, for both the HQ and the local subsidiaries. I primarily used Clipper and C, but also RPG and Synon and later C++. During this time, I developed specialized software optimizing subsidiary reporting procedures, bringing the advantages of corporate reporting needs to local management, and allowed me to travel to many countries. In 1995, I joined an international money and foreign exchange broker, where I developed and maintained front office trading and back office applications, giving me direct experience in a core of the trading world. I primarily used Visual C++, Powerbuilder, Excel, Access and Informix. In 1998, I registered my own company, concentrating on C++ software development on a telework basis. By request I developed a complete management reporting solution (QMan, QStar and QRep) which was implemented in different companies around the world. In 2000 I started XLQ allowing me to combine my experience and offer the advantages of my above work to a wider audience. My name is Leo van Rijswijk. My mother tongue is English with my day to day language now being French. I am 51, married, have a son and daughter and live in south-western France. Due to job requirements I have previously lived in a number of places including London (England), Paris (France), Frankfurt (Germany), Luxembourg, Johannesburg (South Africa) and Lugano (Switzerland). In addition, I have had the privilege of traveling on a number of occasions to the USA, to Canada, to most European countries, Australia and around Asia. Since 1998, I have been a 'teleworker'. Working from my home office, I develop software, maintain and support my applications, and assist my customers as needed around the world.